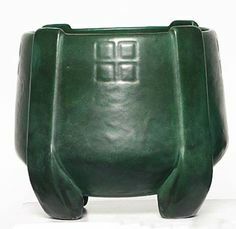 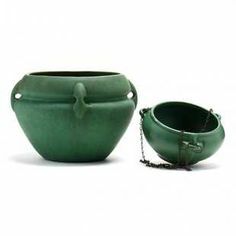 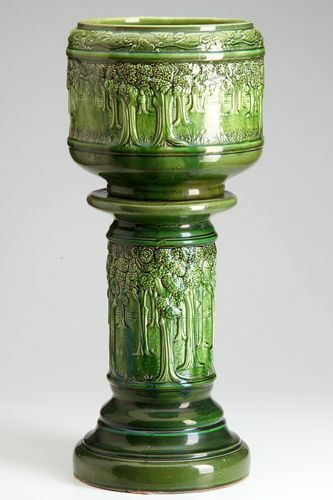 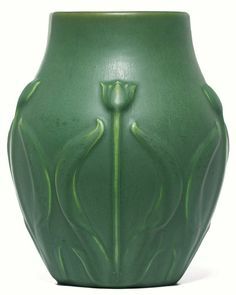 Weller Bedford Matt jardiniere with matte green Arts and Crafts Grueby-like leaf decoration. 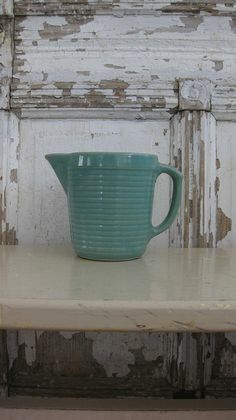 Marked: (impressed) Weller. 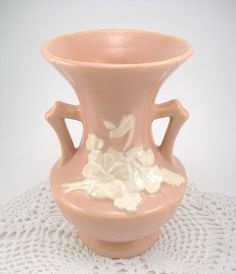 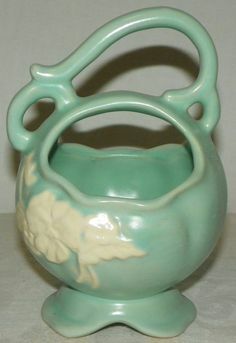 Pottery Jardiniere. 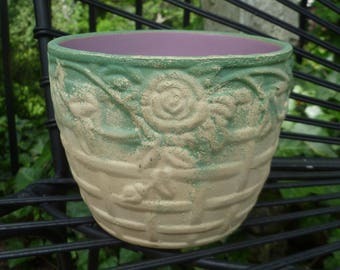 Roses on Trellis. 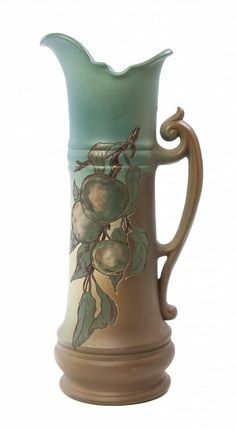 Vintage 1940s. 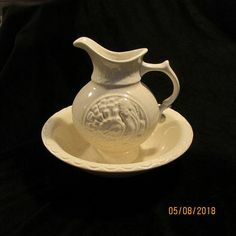 Weller? 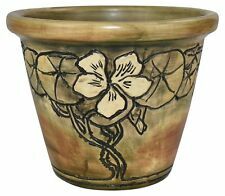 Flower Pot Planter Vase. 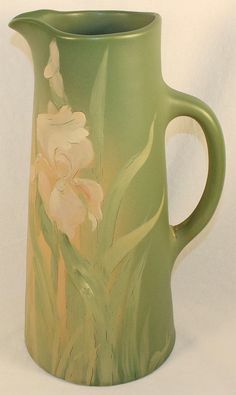 Cream, Green, Pink Orchid. 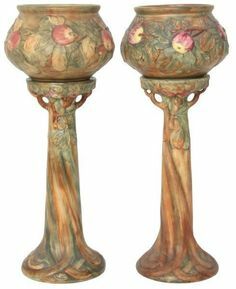 Cottage, Garden Decor. 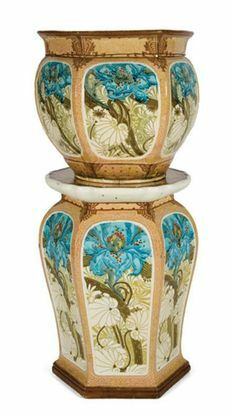 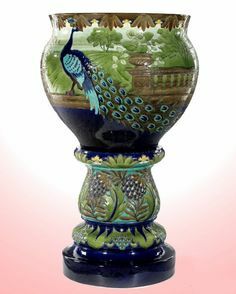 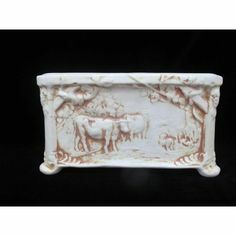 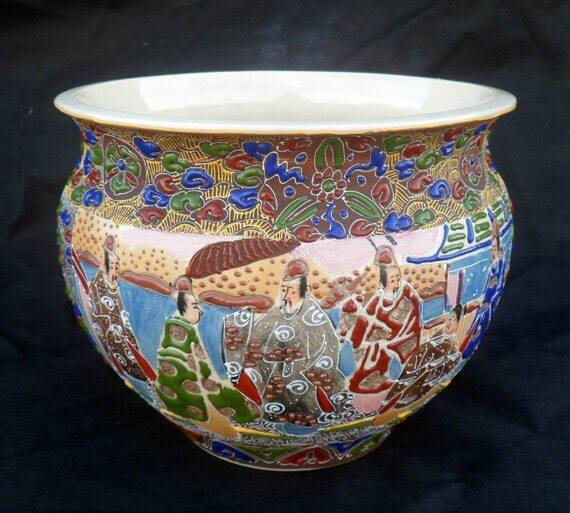 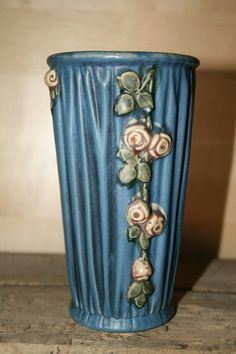 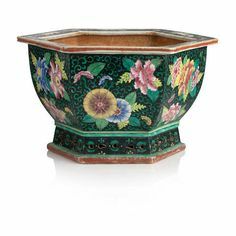 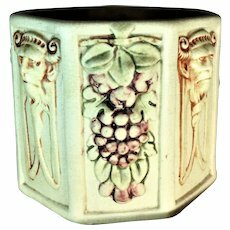 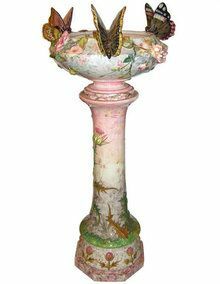 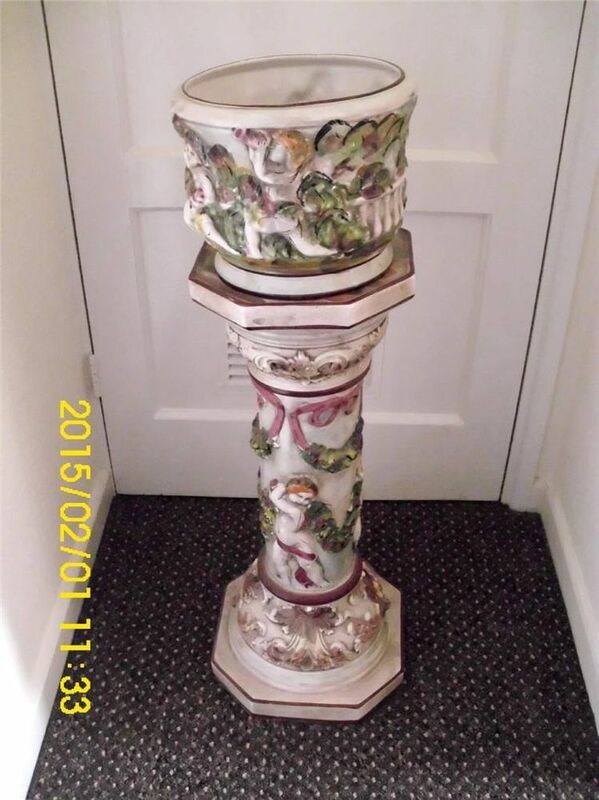 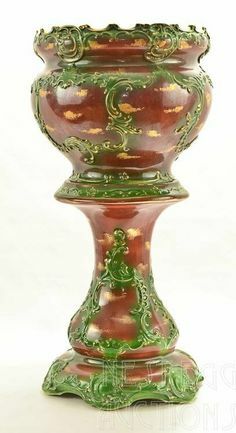 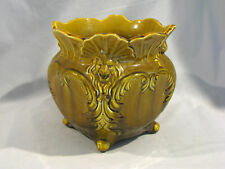 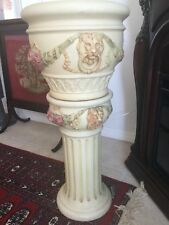 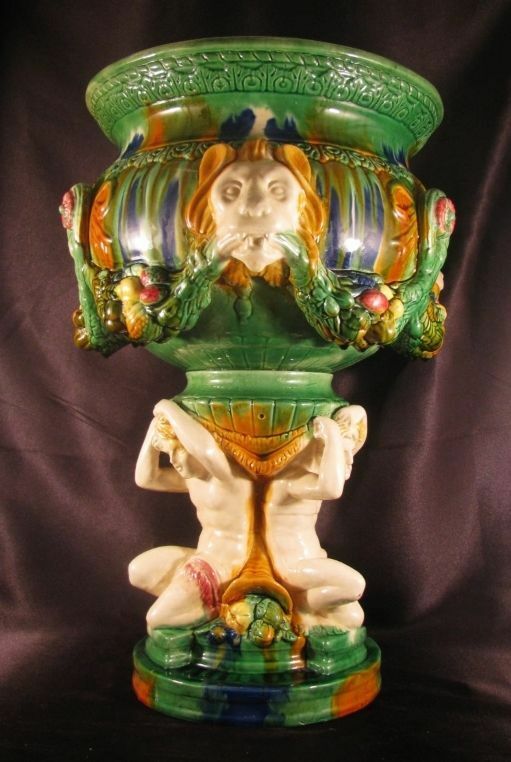 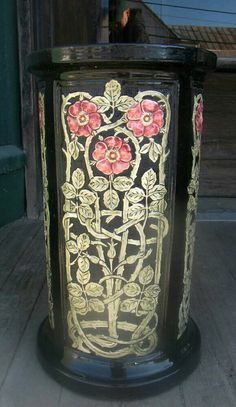 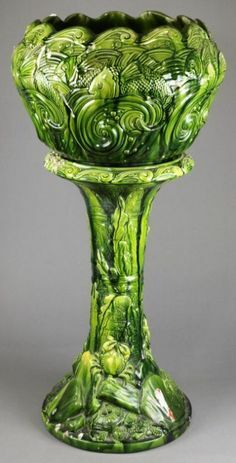 Antique Majolica Jardiniere and Pedestal | Weller Pottery; Jardiniere & Pedestal, Majolica Colors, 36 inch. 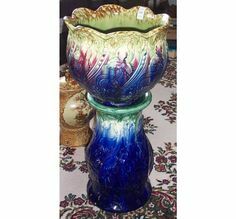 Bearnes Hampton & Littlewood (Maritime Auctioneers): 'The Oceana . 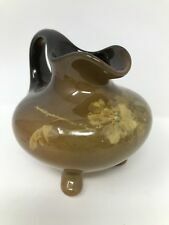 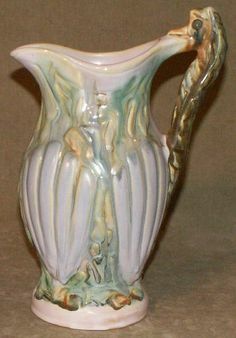 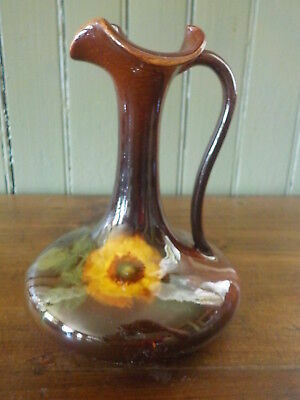 Hard to find Weller Sabrinian ewer with a seahorse handle. 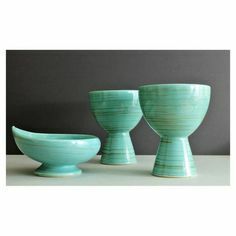 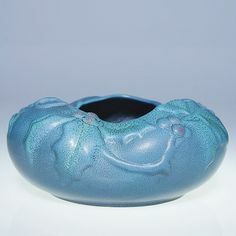 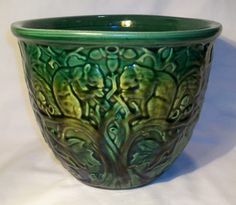 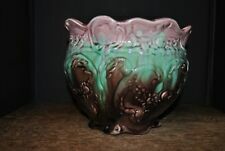 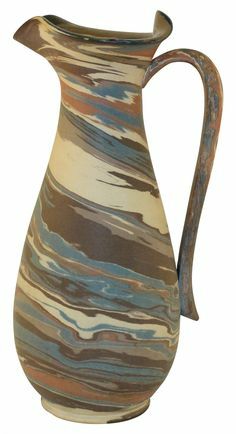 Great color and glaze. 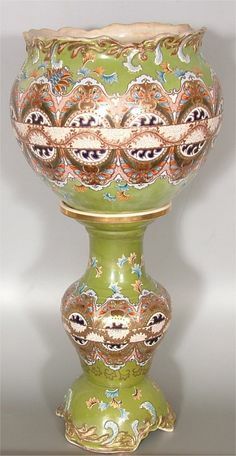 Ewer is 10 tall and 7 wide. 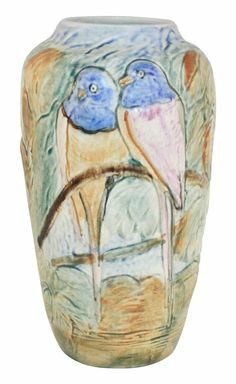 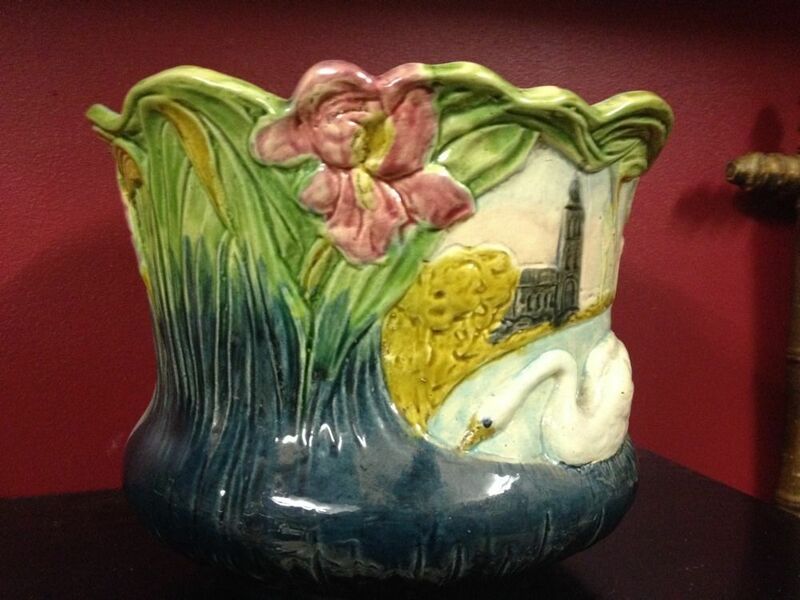 Tall and very decorative Weller Pottery Glendale tall vase with two colorful birds. 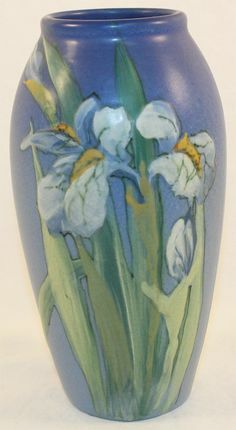 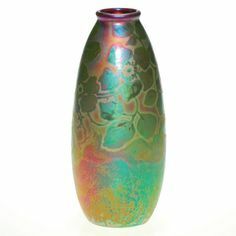 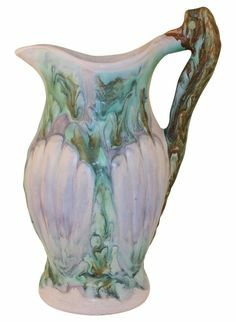 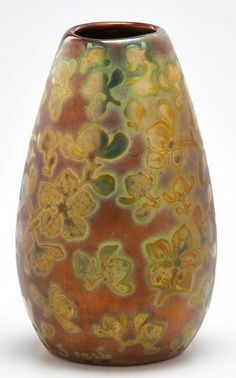 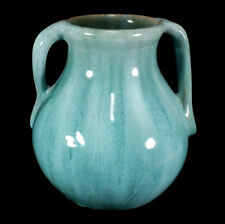 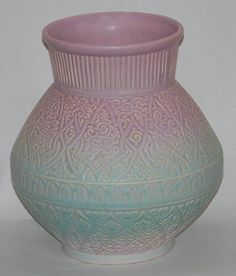 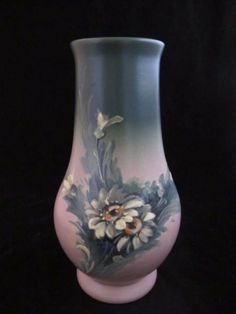 Weller Lavonia pastel Glazed Vase. 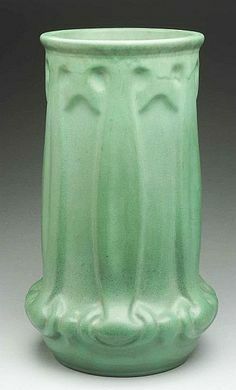 10" tall. 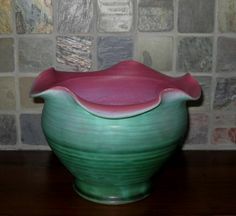 $150 Just Art Pottery 2011. 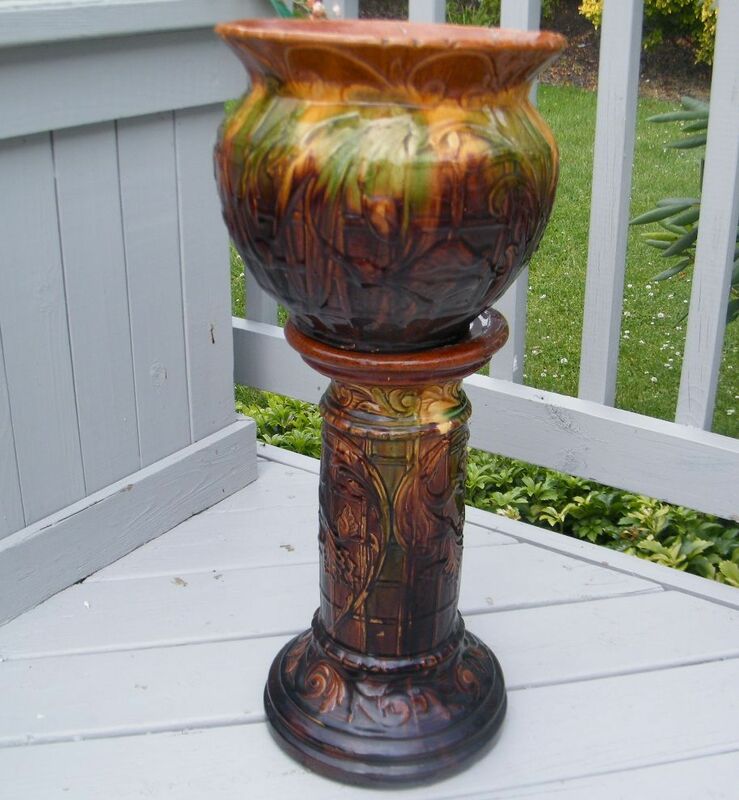 Vintage Majolica Style Hand Painted Glazed Jardiniere Stand And Large Planter From Italy. 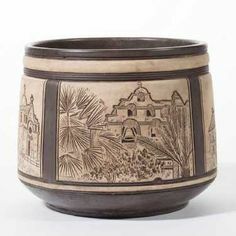 Weller Very Early Louwelsa Bowl... Beautiful. 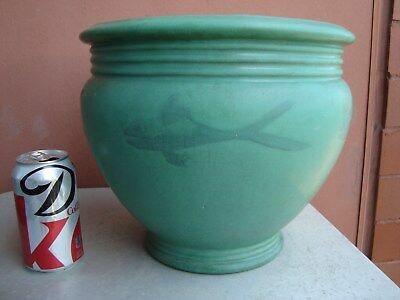 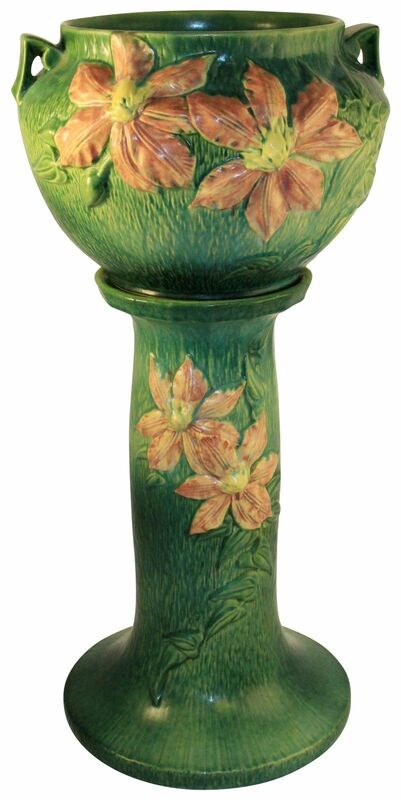 Weller Pedestal | Weller Pottery; Zona, Jardiniere & Pedestal, Kingfisher, 30 inch. 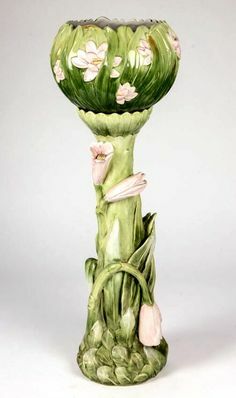 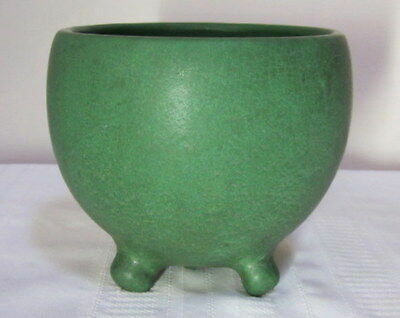 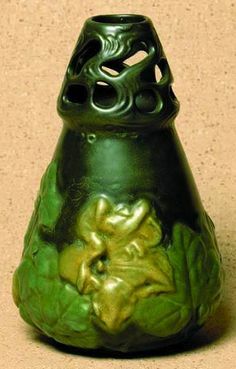 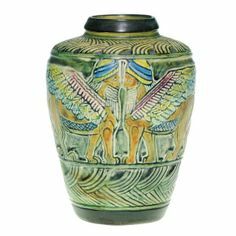 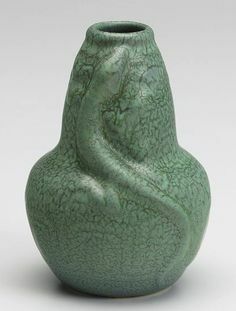 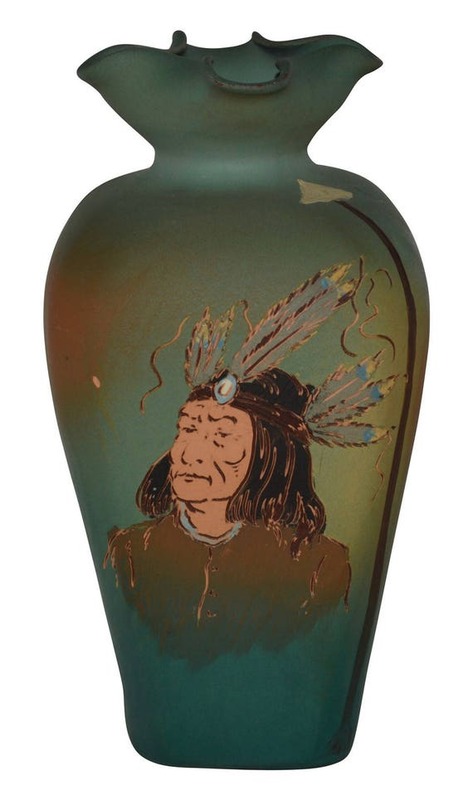 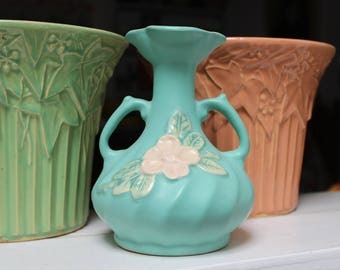 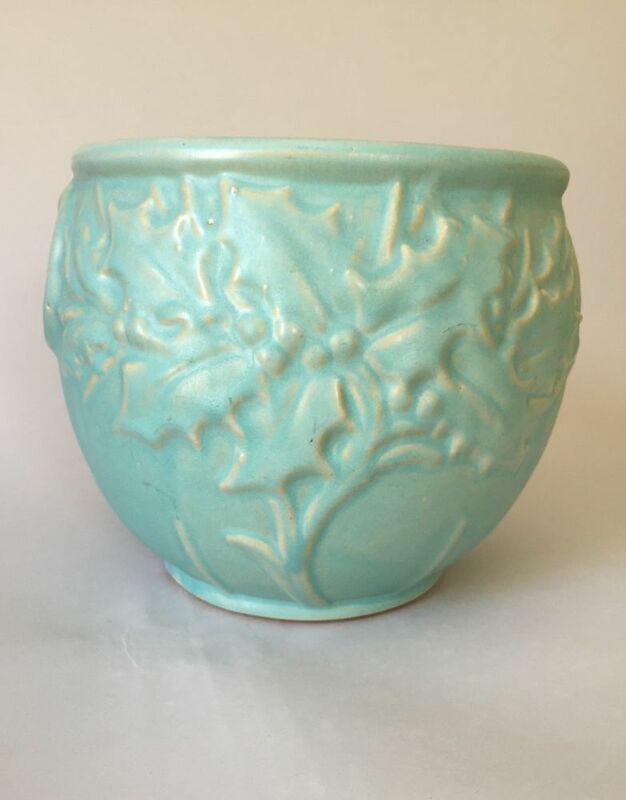 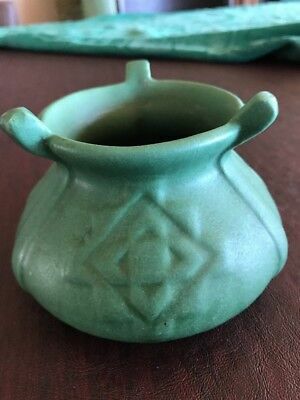 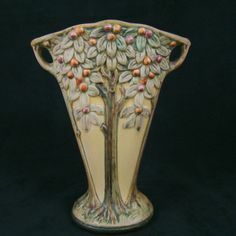 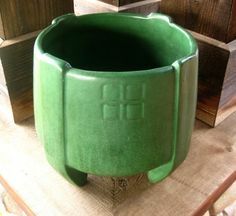 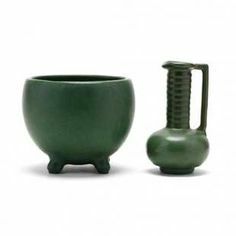 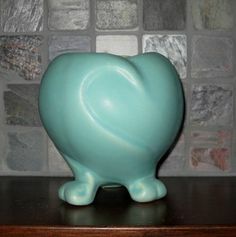 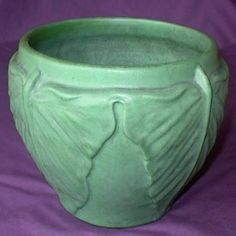 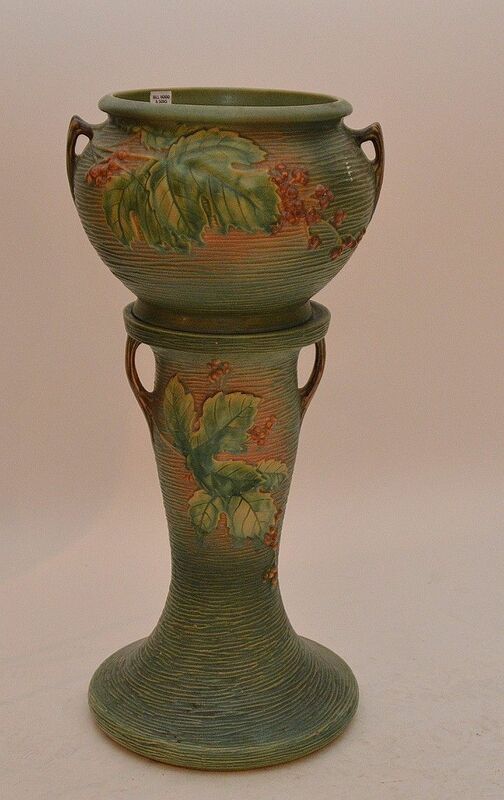 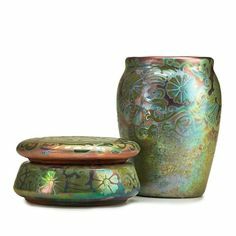 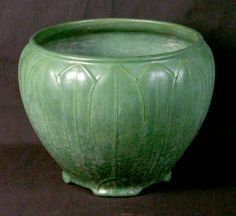 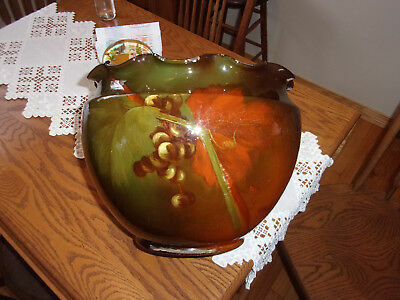 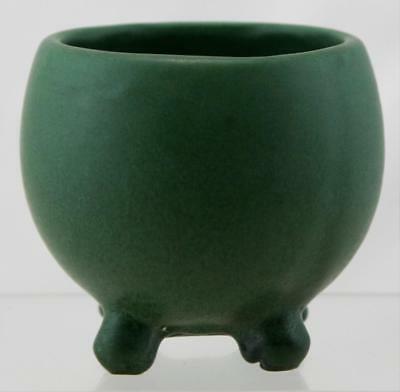 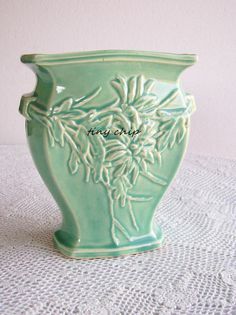 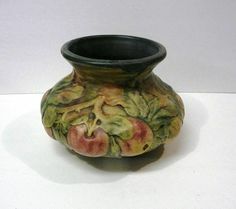 Weller Fru Russet vase with the molded design of an arrowroot plant and covered with two mat green glazes. 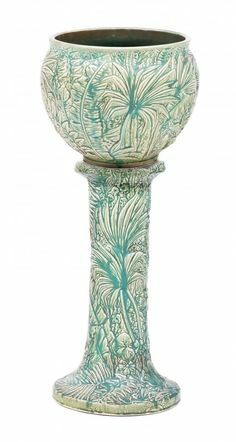 Impressed Weller in small block letters. 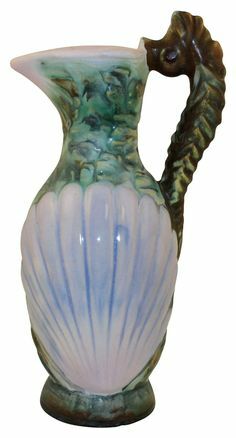 Scarce and highly decorative Weller Sabrinian ewer with seahorse handle. 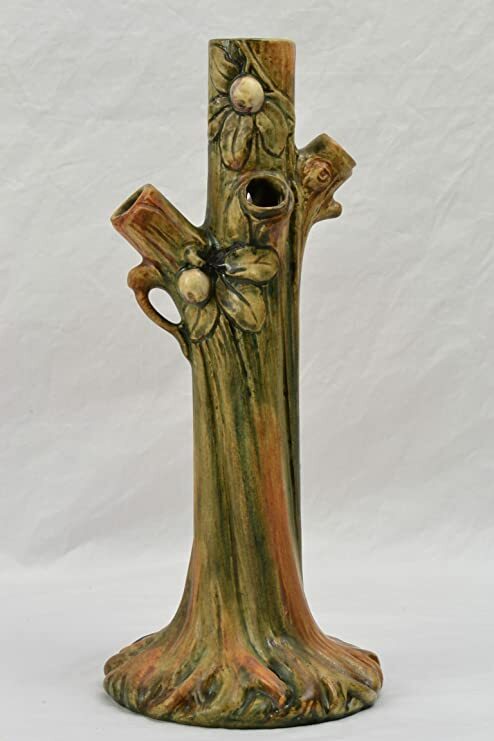 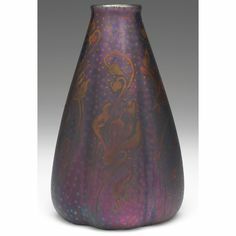 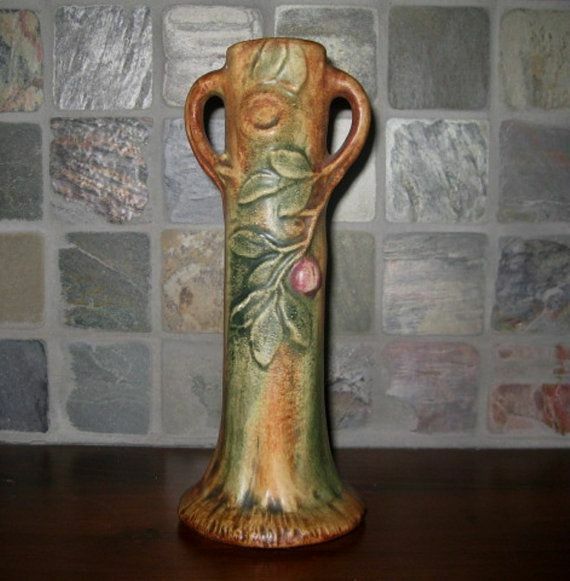 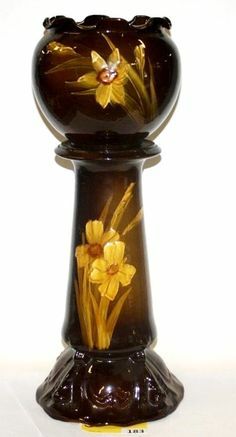 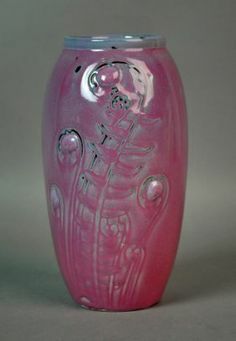 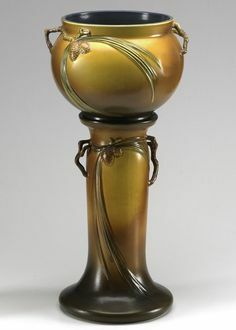 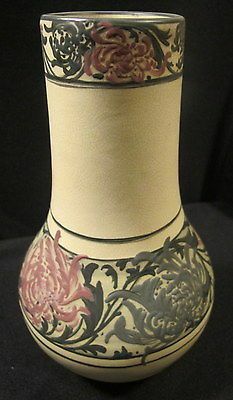 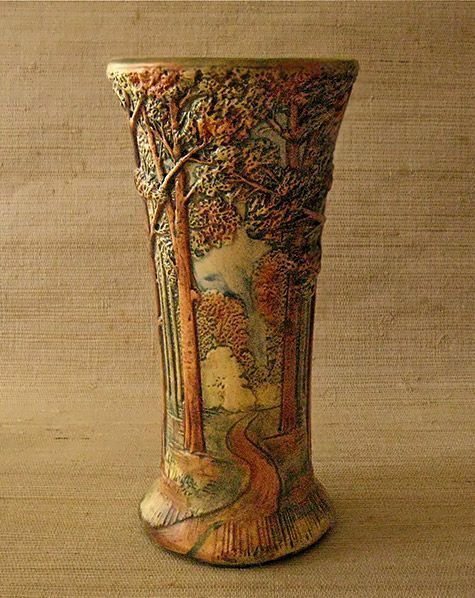 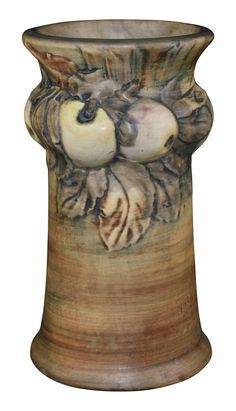 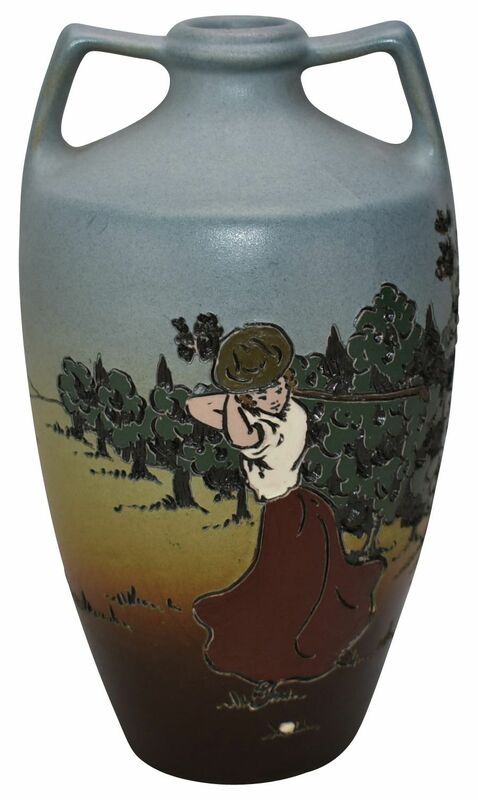 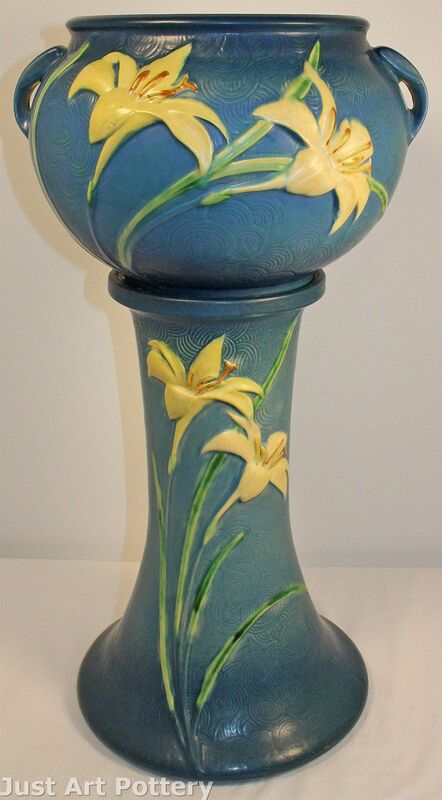 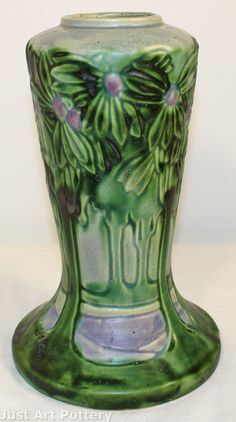 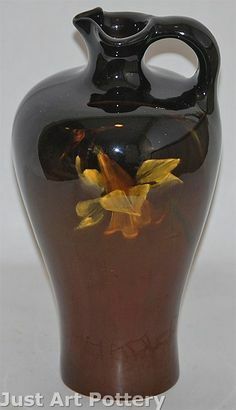 Tall and decorative Weller Pottery Baldin vase. 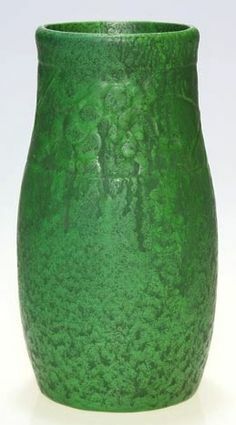 Bottom marked with WELLER. 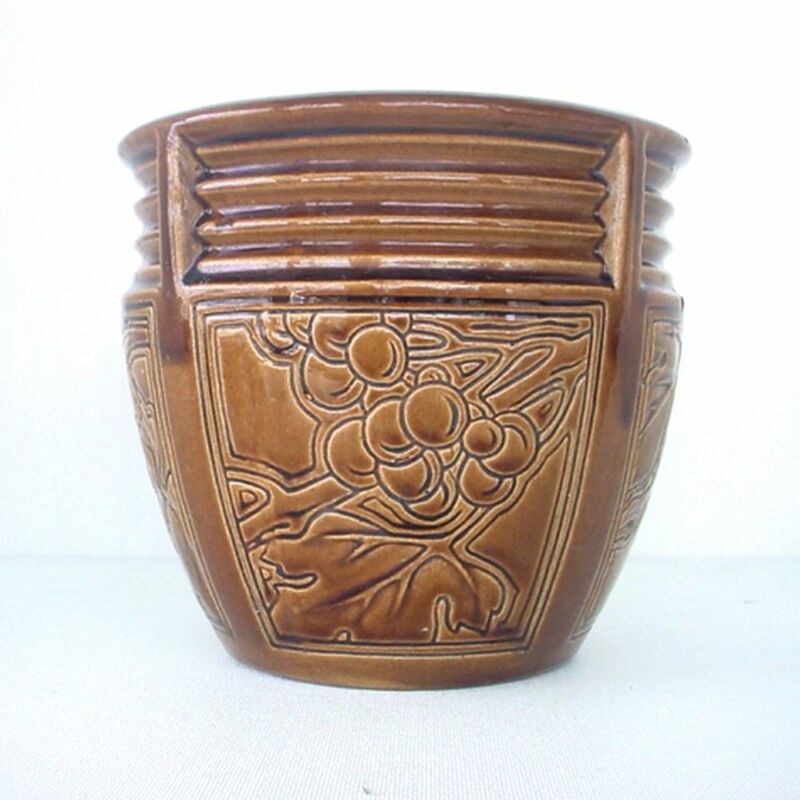 Decorative Weller Pottery Roma basket with cherries on each side. 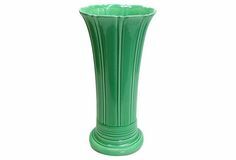 Vintage Weller Huge Jardiniere Planter & Pedestal, 37" H..
Owens vase with subtle embossed grape decor in a band just below the rim, covered with a rich, feathery green mat glaze. 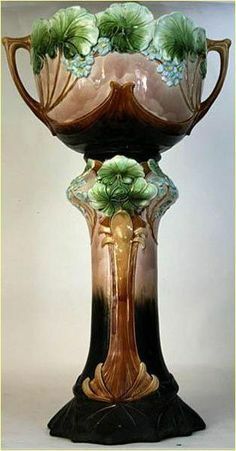 Impressed “Owens on the bottom. 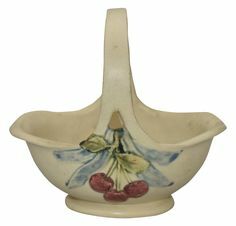 Weller Fru Russet/Matt Ware bowl with embossed holly decoration done in mottled blue, red and green glazes on a very delicate, thin walled, body. 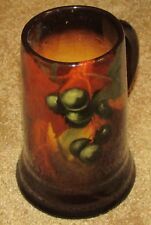 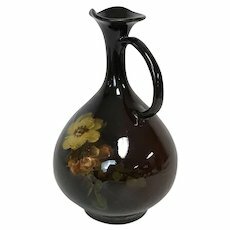 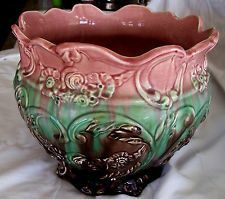 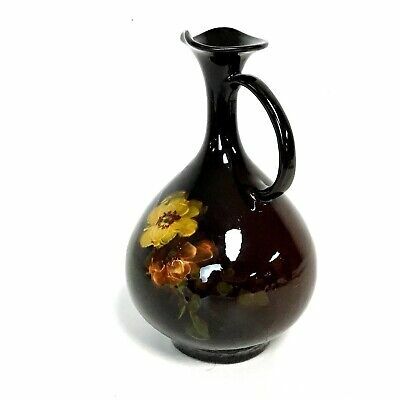 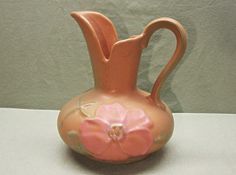 MINT WELLER LOUWELSA STANDARD GLAZE ART POTTERY 478 EWER MAE TIMBERLAKE "DASIES"